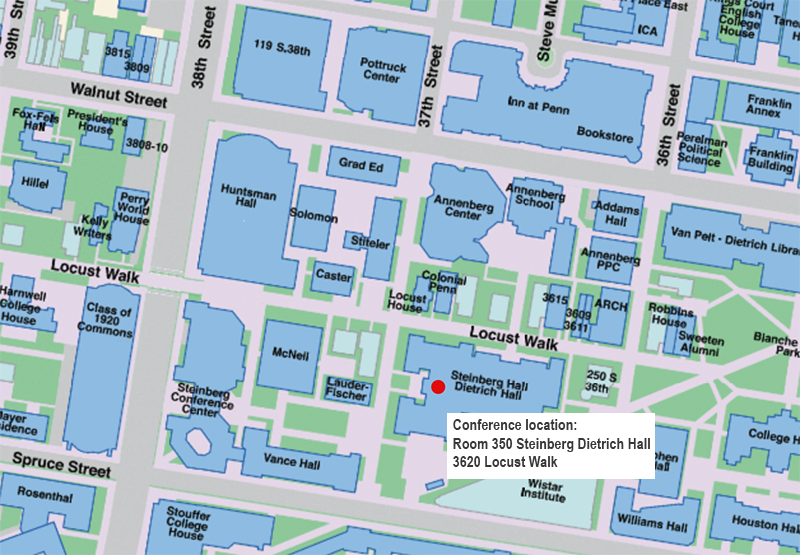 All conference sessions will be held in Room 350 of Steinberg-Dietrich Hall, located at 3620 Locust Walk on the Penn campus. The network is the basic organizing structure of our increasingly digital society. This section considers how private and governmental actors seek to exploit the networked environment, and what mechanisms could promote the most desirable outcomes for individuals, organizations, and communities. As more and more decisions are automated through analytics that substitute correlations for causation and understanding, foundational notions of fairness and responsibility come into question. This section highlights the potential as well as the challenges of an algorithmic world. What is the future for people in an environment increasingly dominated by data-driven algorithms and connected machines? The contributions in this section will consider whether, at a time when trust is fraying across the board, there is hope for solutions that promote human flourishing.